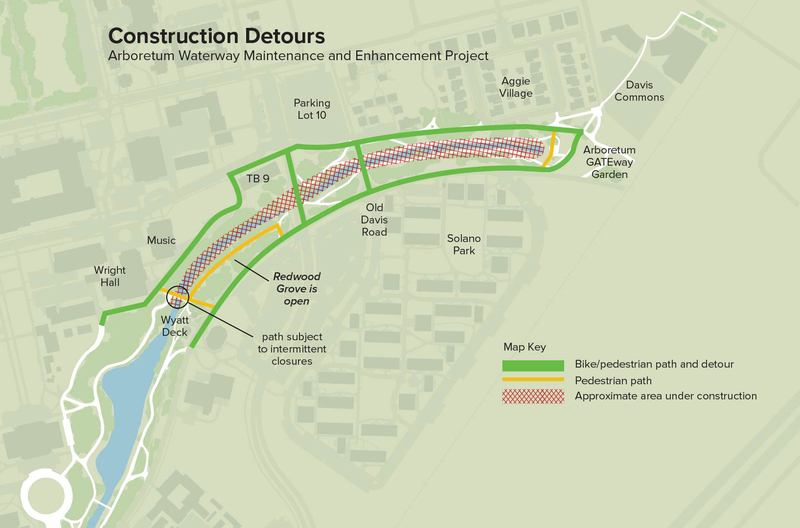 Detail of pathways that will be closed during phase one of the waterway construction. Note the pathway in the Redwood Grove will remain open as well as the entire Arboretum GATEway Garden. Starting the week of February 27, 2017, construction on Phase I of the Arboretum Waterway Maintenance and Enhancement Project begins! Detours around these locations will be clearly marked.